Thinking that Aussies might be THE breed for you? Well, If you are looking for a smart, fun-loving, adventurous dog with a high energy level, then Australian terriers might be the best breed for you. With low grooming requirements, it might be the perfect addition to an active out-and-about type family who wants a dog they can play with, train and take with them wherever they go. This breed is best for owners with a little dog experience because they tend to take on a dominate role if allowed, so training and physical exercise is a must. They make wonderful watch dogs because they are alert, and are often wary of strangers. They love their people and will bond closely with one person or a whole family. Good with other pets: If socialized properly; If getting two, consider one of each gender. May chase cats and should not live with families who own rodents. 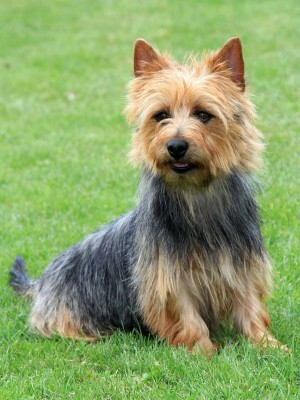 The Australian Terrier is a relatively recent breed that was developed in Tasmania in the early 19th century. Called the Rough Coated terrier, it has its origins from Great Britain and was first taken to Australian to eradicate mice and rats in some of the colonies. The breed was a welcome addition to the Australian outback as it helped keep the snake and vermin population in check and assisted farmers on the ranch with their livestock. 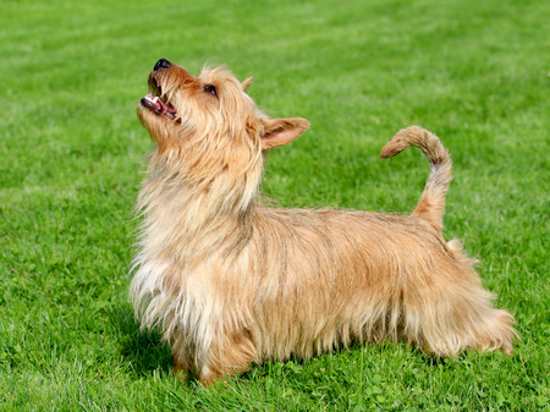 The Cairn terrier, Skye terrier, Dandie Dinmont Terrier, Yorkshire terrier and the Irish terrier were all crossed and used in the development of what is now known as the Australian Terrier. 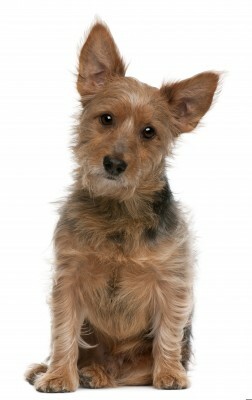 Known first as the Rough Coated Terrier, it was renamed in 1892, the Australian terrier. The breed was first introduced in a dog show both in Australian and Great Britain. Recognized by the American Kennel Club in 1960, it is classified in the terrier group. Today, Australian terriers are equally at home on the farm as well as in the city and loves family life as well as being a companion to a single person. Active seniors also love the antics of this breed. Described as spirited, alert and courageous, but also friendly and affectionate around humans by the AKC, they make great watch dogs, and companion to children who have learned how to handle small dogs. They are happiest when in close contact with their families, but cannot seem to resist the urge to chase small rodents and even cats. The prey instinct is very strong in this breed, which means they may not do well off leash. If you have a fenced yard, be sure they cannot jump over the fence or tunnel under it. And speaking of the prey instinct, the down side of this breed is not only their tendency to jump and chase, but bark as well. 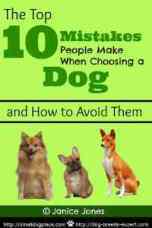 Many of these negative behaviors witnessed in Australian Terriers can be curtailed by regular physical exercise, good socialization and a training program. 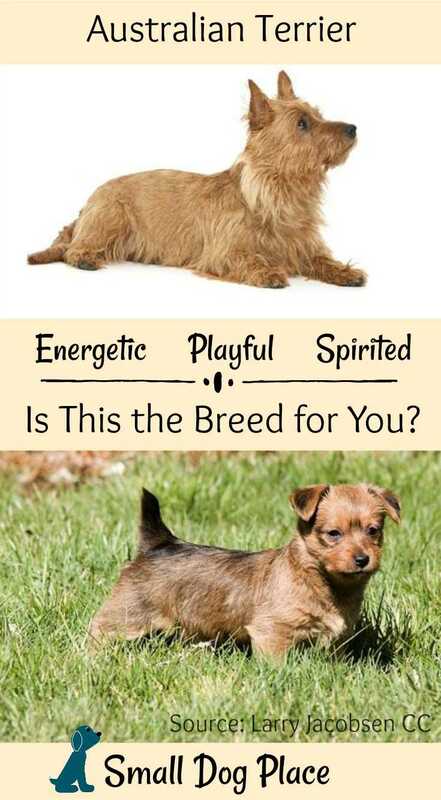 As a typical terrier, this breed has a high energy level which and can be dog-aggressive. As a rule of thumb, two adult males don’t make good bed fellows but a male and female generally get along well. Naturally if you are not planning on breed the pair, they should be neutered and spayed. Sometimes exasperating, frequently lively, never dull and nearly always fun. This might be the right dog for you if you are looking for a healthy, energetic, high spirited, people-oriented dog with not too many grooming requirements. They like to play and love to run, so a large yard or owners willing to provide daily walks are essential. The Aussie’s coat consists of two layers, a harsh straight dense top coat that grows to about 2 ½ inches long and a short softer undercoat. A good metal comb and a stiff bristle brush are the two tools of choice to keep the dog looking neat. Aussies need a bath occasionally with a mild hypoallergenic shampoo, nails clipped, and teeth brushed. Combing and brushing helps keep shedding to a minimum. Other than that, a few stray hairs need to be plucked occasionally. These guys tend to grow hairs between their eyes that can irritate their eyes. These stray hairs can be plucked with your fingers as well as any long hairs extending beyond the ear edges. Their feet need to be trimmed occasionally. Luckily, Australian Terriers are healthy and do not yet have many of the genetic health problems that plague other breeds. The major concerns in this breed include diabetes, thyroid problems, and an occasional case of epilepsy and skin problems. As with many other small breed dogs, The Aussie can be affected by luxating patellas and Legg-Calve Perthes disease. Both of these orthopedic problems are thought to be inherited conditions and can be aggravated by obesity. 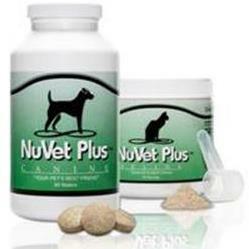 Other problems that have been found in this breed include hypothyroidism, diabetes and skin issues. These books and DVDs are available from Amazon. If you purchase directly from this site, we receive a very small commission. This, however, is most appreciated and helps keep this site up, running, and growing. 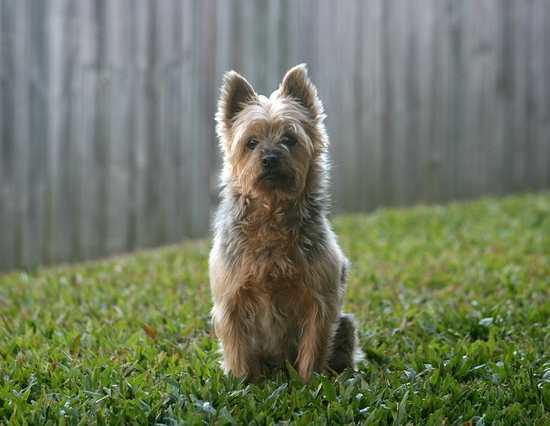 Do You Own an Australian Terrier? Please share your photos and story. We love hearing from you.